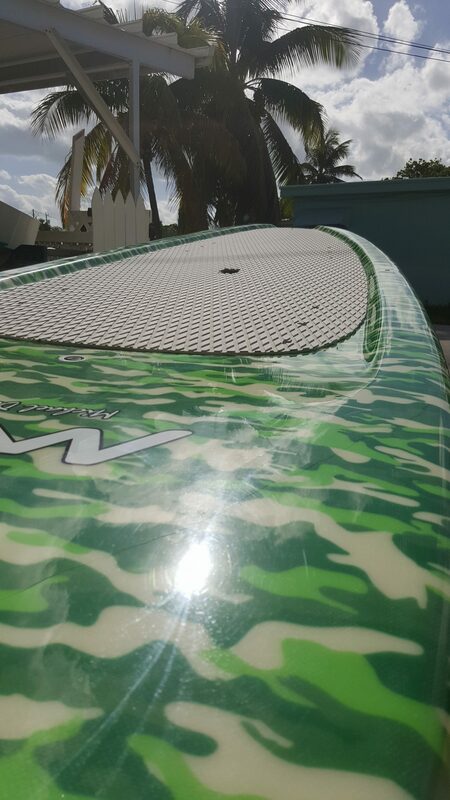 Here at Florida Keys Kiteboarding and Stand Up Paddleboarding we sell not just kite and paddleboard equipment, we also sell dive gear. We recently started selling IST dive masks. Here is Vicki’s first experience with her new IST mask and snorkel. My first experience snorkeling was a blast. I have never done anything like this before so I was pretty excited. I really don’t know much about snorkeling, let alone the equipment needed for my first trip out in the big blue. Obviously I needed a mask, check. Snorkel, what a weird word, check. 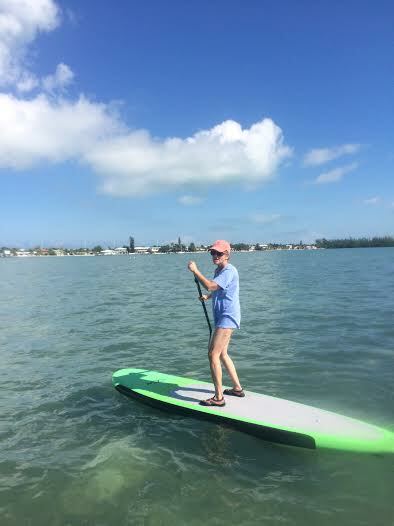 I don’t even think I knew what a snorkel was until I came to down to the Florida Keys. Snorkel holder, this little contraption helped keep my mask and snorkel together – genius I tell you! And last but not least, fins. I felt like Flipper when I was in the ocean with these babies on. 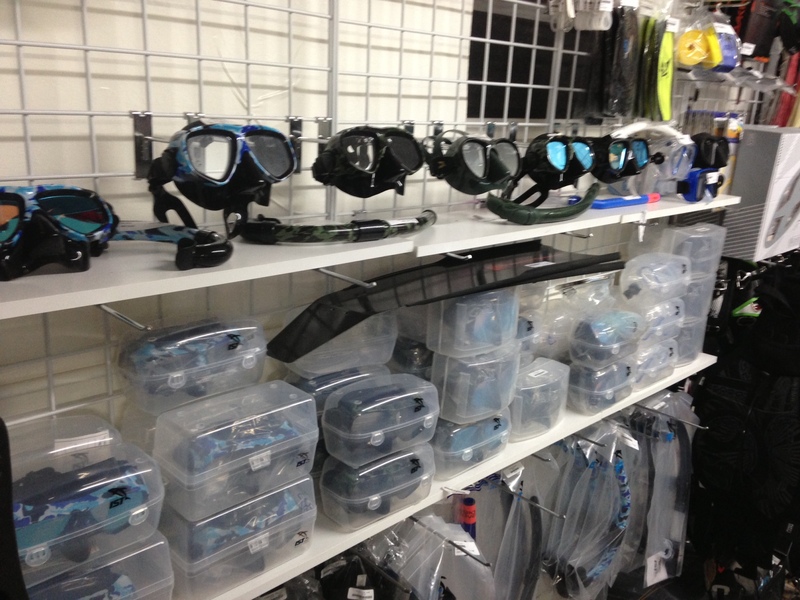 Diving masks on the shelf at Florida Keys Kiteboarding and Stand Up Paddleboarding for sale and rent. We were snorkeling on a sandbar. Perfect! I am not a fan on not being able to see the bottom yet and the water was only about 2 feet deep. First thing I was told I needed to do was to spit in my mask. What?! My brand new mask?! Why?! Well, spitting into the mask helps reduce your mask from fogging up, which my mask did very frequently. Mask on, snorkel in, fins on, and I’m ready to go. First thing I noticed was how the snorkel felt, awkward to say the least. I got use to it after a while. Then, right on cue, my mask fogged up. Ugh! Already! I took the mask off, dunked it in water, applied more spit, and I was back on track. After about 15 minutes, I finally thought I was getting the hang of things, until I swallowed salt water. I wasn’t expecting that! Yuck! While I was submerged in my own little world, I found myself thinking I was Dory from Finding Nemo… Just keep swimming, just keep swimming… until I came to a large hole in the ocean floor and screamed through my snorkel! I swam away (‘Swim away! Swim away!’), not wanting to know what was in that hole. After I felt like I was far enough away, I surfaced to calm my nerves. I was not giving up that easy. I dove back down and was finally making some progress. Everyone once in a while, I would find some fish, but I think the most exciting thing I saw was a large starfish. It was bigger than my hand and just how I pictured them. I wanted to touch it, but alas the smarter half of my brain said no. Needless to say this was quite an entertaining trip. I saw lots of marine life, scarred the crap out of myself via the large whole, and quenched my thirst with some tasty salt water. I can’t wait to go out again. This time I know what to expect!